“The latest forecast from the U.S. National Hurricane Center said, “Florence is temporarily moving toward the northwest near 13 mph [20 km/h]. 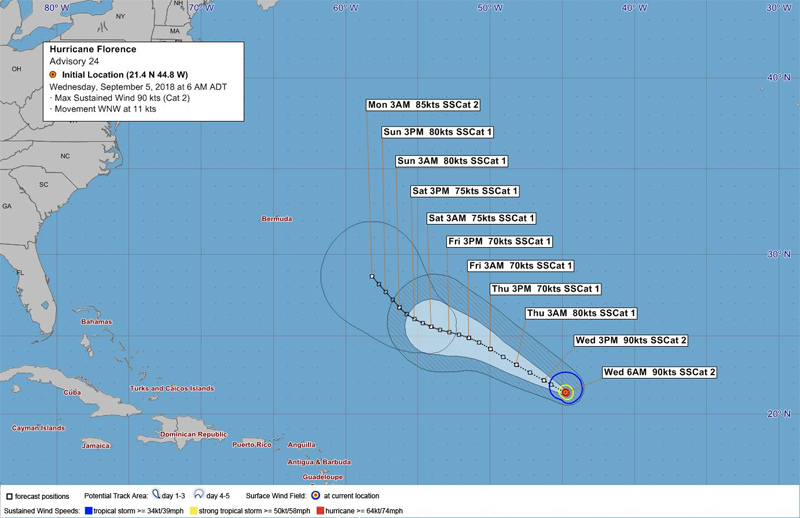 A turn back toward the west-northwest is expected later today, and this general motion is expected to continue with Florence’s forward speed decreasing by the weekend. “Maximum sustained winds are near 105 mph [165 km/h] with higher gusts. A gradual weakening trend is forecast to begin tonight and continue through Friday. 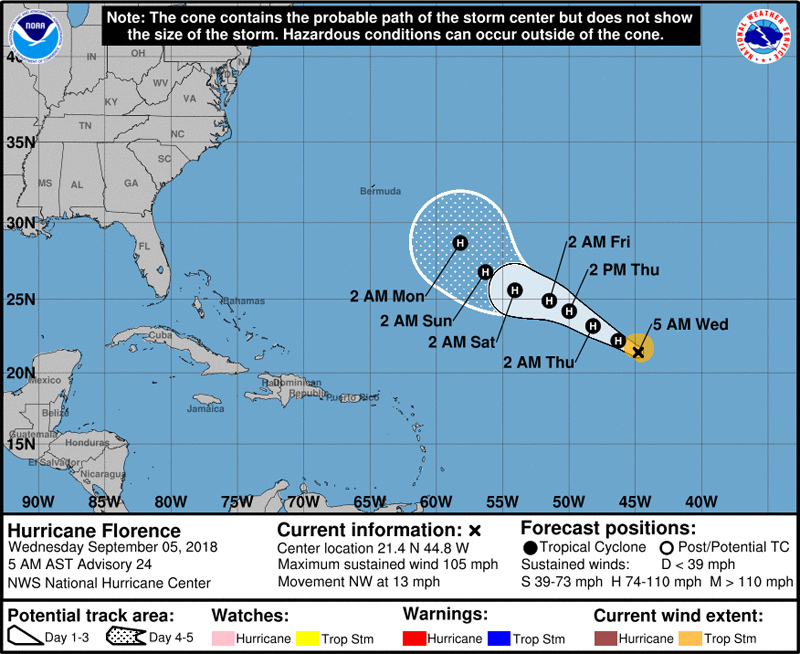 After that time, Florence is forecast to restrengthen through the weekend.